Yelagiri is beautiful hill town situated in Vellore district of the state of Tamil Nadu, India. The hill station is perched at the altitude of 1410 m and is adorned with exquisite lush green valleys, orchards and rose gardens. The hill town and surrounding region is mainly inhabited by tribal people whose main occupation includes agriculture and other allied business. Yelagiri hill station is major tourist place in the state and fascinates visitors by its serene environs, pleasant climate, exquisite natural surroundings and other places of attraction in and around it. 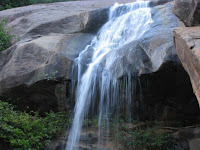 Jalagamparai waterfall is major tourist attraction in Yelagiri. Gurgling water falling down from a good height is quite fascinating. The waterfall is best seen during October to February when it has full load of water gushing down and presenting a mesmerizing experience to the visitors. Swami Malai Hill is another place of interest you can visit in Yelagiri. This cake like hill has strong base with its peak touching to the sky. Top of the peak offer the tourists amazing views of surrounding nature. This is the highest peak (4338 m) in Yelagiri. Javadi Hill, Palamathi hill are other majestic hills nearby the town of Yelagiri. 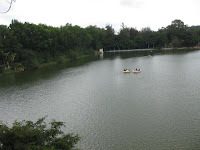 Punganoor Lake is yet another interesting place in Yelagiri. It is artificial lake and offers a perfect picnic spot to the visitors. A garden situated near the lake adds the beauty to the place. Velavan Temple and Jalagandeeswarar Temple are some of the many places of worship you can visit near Yelagiri hill station. Yelagiri also presents the adventurous tourists several trekking trails. YMCA Camp Center is a nonprofit organization which provides the visitors accommodation, trekking and camp facilities. 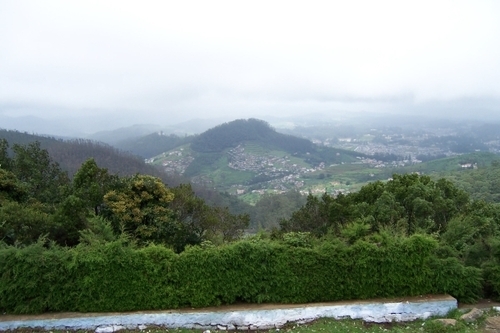 Yelagiri experiences moderate temperature most time of the year. Its temperature varies from 18 to 34 degree Celsius in summer while it remains 11 to 25 degree Celsius in winter. November to March is the best time to visit Yelagiri hill station. Many state run buses and other private vehicles are available to reach Yelagiri from Bangalore Thruoather, Chennai and other cities and towns of Tamil Nadu and other nearby states. Jollarpettai is the closest rail head to Yelagiri and is well connected to other many cities and towns of the state and country. Jollarpettai is just 21 km away from Yelagiri. You can also fly to Bangalore and then move to Yelagiri by car or luxury bus. The airport of Bangalore is well linked by many flights to other major cities of the country.